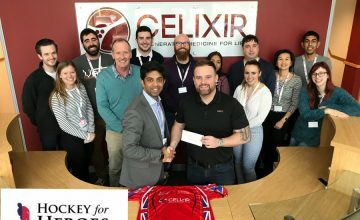 Stratford-upon-Avon, UK, 08 June 2018 – Celixir, a privately owned company discovering and developing life-saving advanced therapies, announces that the US Food and Drug Administration (FDA) has approved its Investigational New Drug application (IND) for HeartcelTM, its immune-modulatory progenitor (iMP) cell therapy for the treatment of adult heart failure. 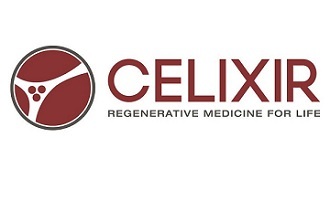 Celixir announced in January the approval of a clinical trial application (CTA) from the UK’s Medicines and Healthcare products Regulatory Agency to initiate a potentially pivotal Phase IIb human clinical trial with HeartcelTM. The international trial will recruit up to 250 patients and the IND approval allows expansion to US clinical trial sites. Celixir is a privately owned UK biotechnology company that discovers and develops life-saving and life-altering advanced therapies for patients with the greatest medical need. Celixir, founded in 2009, is made up of a world class team of scientists and bio-pharmaceutical executives, led by Nobel Laureate Professor Sir Martin Evans and former Roche Global Head of Emerging Technologies, Ajan Reginald. 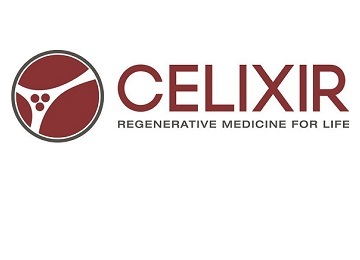 Celixir’s unique platform technology allows it to adopt an ‘off-the-shelf’ approach to deliver cell therapies to patients. Heartcell is an allogeneic cell therapy containing off-the-shelf immunomodulatory progenitor (iMP) cells engineered to regenerate the heart. iMPs are administered during coronary artery bypass graft (CABG) surgery by direct injection around the cardiac scar that is to be regenerated. 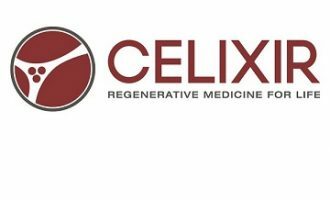 iMP cells have been designated an Advanced Therapeutic Medicinal Product (ATMP) by the European Medicines Agency. EU Phase II trials were successfully completed with results presented in 2016 at the congresses of the European Society of Cardiovascular and Endovascular Surgery and the European Society of Gene and Cell Therapy. All primary and secondary endpoints were met: 100% major adverse cardiac event (MACE) free survival; 30% improvement in heart function; 40% reduction in scar size; and 50% improvements in quality of life. In 2017, four-year follow-up analyses found the MACE-free survival rate remains at 100%. Potentially pivotal trials are approved to begin following US IND and UK CTA approvals.